From Tuesday, May 5, to Friday, May 8, the Surfboard Room at Payson Library, Malibu, will have on display more than 70 items from the Green Collection, one of the largest collections of Biblical manuscripts in the world. 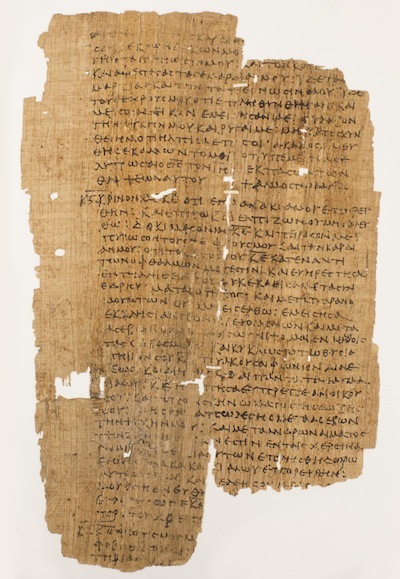 Sacra Pagina, the traveling exhibit of the Museum of the Bible, will also include documents from the earliest days of writing to modern times. Each case in the exhibit looks at one question that the Museum of the Bible has received from visitors in the past regarding a particular aspect of biblical research. The exhibition highlights a few of the ways in which people both in and out of the academic community approach and study the Bible. According to Pepperdine Libraries, it was created to "explore recurring questions that our visitors have found interesting." The goal is to introduce visitors to the ways in which their areas of interest are being addressed in current biblical scholarship and discover ways to pursue that area further. The exhibition also highlights how the study of the Bible has carved a unique niche in academia as well as in people's private lives and religious communities. For more information, visit the Pepperdine Libraries website or contact Jeanette Woodburn at (310) 506-6785.